Built using refurbished motherboard and processor in Brand New Boxed Case with a 3 year shop warranty on all parts. With a design you usually find on higher end cases, the Seven pushes the CIT brand in to new territory. A MATX case designed with a black, plastic anti-dust front panel embraces 2 large RGB strips in the shape of the number 7. 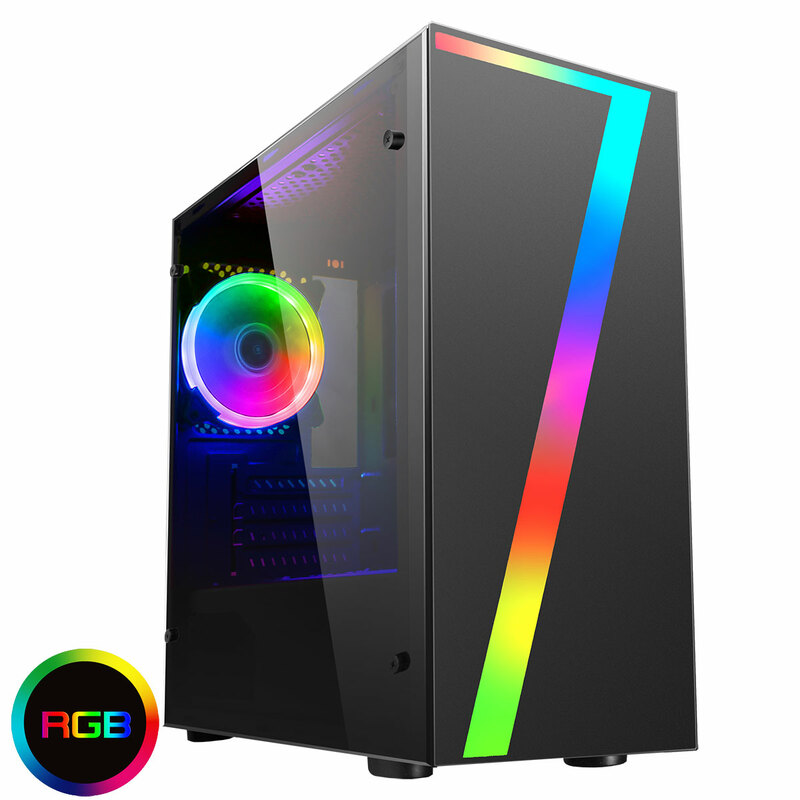 The strips can be synced with the rear 120 Single-Ring Halo Spectrum fan that is included giving any PC build a fantastic “out of the box” RGB and cooling solution that has 14 different colour modes to choose from. When playing games we always recommend checking out the specific game webpage before buying as you may not get the highest fps with the minimum specification.